We have now moved into the new premises at 350 Loop Road, Glengarry. Please call 0408961101 for enquiries. Classic Auto Metal can handle your whole classic car restoration project from totally stripping the body shell to final assembling... and everything in between. Check out our gallery to see some of our previous projects. 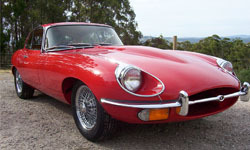 To see the vehicles and classic cars we are restoring at the moment check out our Current Projects. Classic Auto Metal can restore your classic car to Concours condition sourcing original parts to restore it to its original, classic condition. Or if you prefer we can make changes based on your requirements. We are backed up by a highly skilled vehicle restoration team, which includes experienced panel beaters, motor trimmer, auto electrician and mechanics, all who have experience and a passion for working on classic cars. Most of our team have classic cars of their own and have an understanding of what it is like to restore and own a classic vehicle. 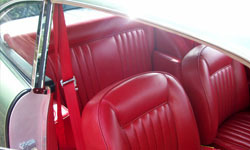 Classic Auto Metal have been operating for close to twenty years with many combined years’ experience in the automotive and vehicle restoration industry. During that time we have undertaken many different types of car restorations. We specialise in the restoration of Ferrari and Aston Martin marques. We endeavour to exhibit a vehicle in the Australian International Concours d’Elegance and Classic Motor Show held in in Melbourne every year which is Australia’s leading classic car exhibition. We were fortunate enough to have a class win in 2011 with a 1965 Ferrari 330 GT 2+2. In 2013 we exhibited a 1961 E-Type Flat Floor Coupe and a 1959 Aston Martin DB2 Mk111, with the E-Type Jaguar winning its class. Restoring a classic car is an art not a science so it is impossible to estimate costs at the beginning of a project - there are just too many unknown factors. At Classic Auto Metal, we can’t always tell from looking what the body will be like under the paint - for example rust and structural damage can’t always be seen. 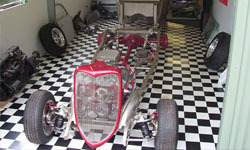 Once we have worked out what type of vehicle restoration you would like, and how much or how little you want to contribute yourself, (for example you might like to do some of the stripping/disassembling of the body, sourcing parts, or final assembly etc), we can then give you an idea of the steps involved and how long it may take. We pride ourselves on quality, so any time frame given is an estimate only. We charge an hourly rate. All work is done via progress payments, approximately every two to four weeks, which includes an invoice, daily work details on all work undertaken on your car and backed up with progress pictures which are all emailed.